Trimble has introduced a new grandmaster clock to address the synchronization needs of the fast growing next-generation LTE-Advanced and small cell network market. The Thunderbolt PTP Grandmaster Clock (GC), coming in the first quarter of 2016, was introduced at the ITSF 2015 Time and Synchronization in Telecoms Conference, held in Edinburgh, UK, Nov. 2-5. Trimble said it value-engineered the industry-standard grandmaster clock, focusing on the features required in next-generation networks, including dual gigabit Ethernet ports and a small form-factor pluggable module port for optical connections. Its low price point enables network architects to move the timing source from the core to the edge of the network, enabling higher phase and frequency precision at the Precision Time Protocol (PTP) clients. With flexible network interface protocols and easy integration, Trimble optimized the GC to deliver precise frequency and phase synchronization signals for LTE-Advanced and small cell networks supporting IEEE 1588 PTP, Network Time Protocol (NTP) and Synchronous Ethernet simultaneously. The GC supports up to 250 simultaneous PTP clients and 5,000 NTP transactions per second, and is designed for small- and medium-scale deployment. With a small form factor of half rack 1RU, users may deploy the Trimble GC either indoors or outdoors. In a server room, the Trimble GC deploys in a side-by-side configuration to provide timing redundancy. For outdoor applications, the Trimble GMC also features an extended operating temperature range for use in non-typical networking environments such as a telecom cabinet. The Trimble GC configures for AC and DC power. The GC was designed to provide continuous availability of traceable time. The GC includes an embedded, multi-GNSS (GPS, GLONASS, BeiDou and Galileo-ready) receiver to generate precise 10MHz and pulse per second outputs. 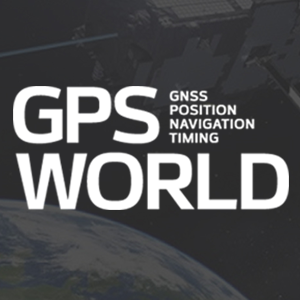 Utilizing the latest in GNSS technology combined with a precision oscillator, the GC provides better than 3 microsecond phase holdover over a 24-hour period. The Trimble Thunderbolt PTP Grandmaster Clock is expected to be available in the first quarter of 2016.